Genesis Owusu is a 20-year-old Australian/Ghanaian hip-hop artist who also is a student of poetry and fashion. A top-five finalist in the Triple J Unearthed High School competition at age 17, Genesis then went on to win the 2016 Triple J Unearthed Laneway competition. His debut EP Cardrive, released last year, exposed him to a crop of new admirers intrigued by his unique abilities. Awareness around Owusu peaked following the EP, with the singles 'Sideways' and 'Awomen, Amen' (both produced by Hiatus Kaiyote members Simon Marvin and Perrin Moss) both being added to rotation on Triple J, as well as receiving the nod of approval from the likes of Okayplayer, Mixmag and XLR8R. His electric live show has thrilled new fans supporting the likes of Cosmo's Midnight, Noname, Aminé and Safia in recent months. Fresh off highlighting himself as one of the strongest artists at September's Bigsound Conference, this new run of dates will see Owusu continue to his growth into the future-star that has just started to scratch the surface of his immense potential. The track is the first in a run of new material produced by Callum Connor, who operates as a key member of Anderson Paak's band, the Free Nationals. 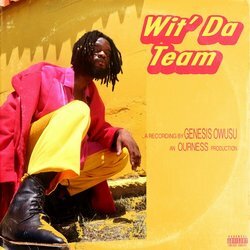 The two artists fit together flawlessly, with Owusu's laid-back flow sitting perfectly above Connor's sun-drenched musical backdrop, with this first taste an exciting example of what's to come from this collaboration.